Many believe that branding is only for big fortune 500 type companies, and not necessary for a home business owner, entrepreneur, or someone just getting started. Most entrepreneurs don't have millions of dollars to waste on ‘brand awareness'… Yet it’s just as critical for home business owners to build a personal brand around themselves as it is for the large corporations to build their brands. You Are About to Uncover ‘The 3 Irrefutable Laws of Building a Personal Brand' around YOU, Incorporated! Whether you are a network marketer, an affiliate marketer, or selling your own products online…your brand is the driving force of your business. But there seems to be some confusion about what building a brand for a home business entrepreneur actually means. We’re going to clear that up now so YOU can start building your personal brand today. Law #1: Branding YOU Has NOTHING To Do With the Size of Your Bank Account! It’s ironic that the thing that holds most people back from building a brand around themselves is the mistake of thinking they must have a big fat bank account before they can start to do so. It’s not necessary to be earning huge amounts of money (or any for that matter) to start providing massive VALUE to your target market. Money is NOT a prerequisite for creating valuable content. In fact your prospects don’t care what your bank account looks like as long as you’re delivering them solutions for THEIR problems through your blog posts, videos, Facebook LIVES, or social media posts. The reason that people will become loyal to you and YOUR brand is because they see that you care about them, you are providing solutions, you are helping them, and you are adding VALUE to their lives. How much money have made (or not made) has NOTHING to do with Branding! They have goals, and if you’re the one to provide the content to get them closer to achieving those goals, then your brand begins to build tons of trust in the marketplace. Your reputation grows, and THEN your bank account starts to match the value you’re delivering. It cannot happen the other way around! When someone visits your site, it’s because they are looking for something. They need something. Information. Knowledge. A solution for their problem. This should be on your mind at all times no matter what niche or industry you are in. Most entrepreneurs spend countless hours trying to come up with a clever tagline to put on their website. And more often than not, what they come up with is all about them! (their opportunity, their business, their products, their services, etc). And the hard truth is that your visitors don’t care. Especially in the beginning. What they want to know is what solution you have for them, and they need to know NOW because there are millions of other things on their mind. 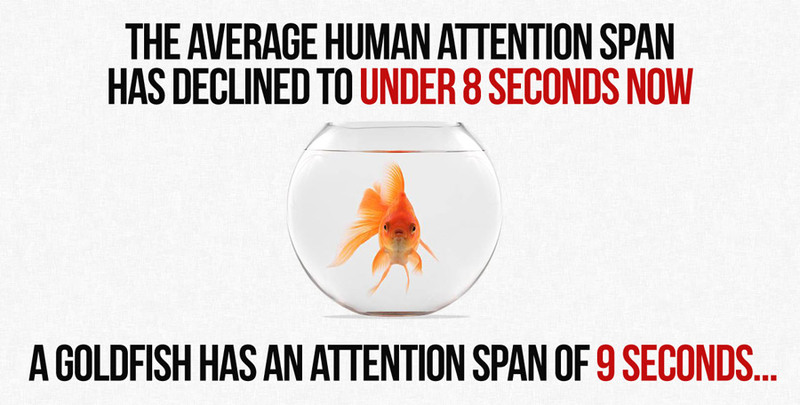 No time to waste time on your site especially when another ‘competitor' might have the answers they’re looking for. Always remember it’s all about your target market’s wants and needs. It’s not about YOU! Below is a snippet from a training that MLSP CEO Brian Fanale did on Personal Branding. It should get your mind working in terms of thinking about your personal brand and who you are going to be serving. 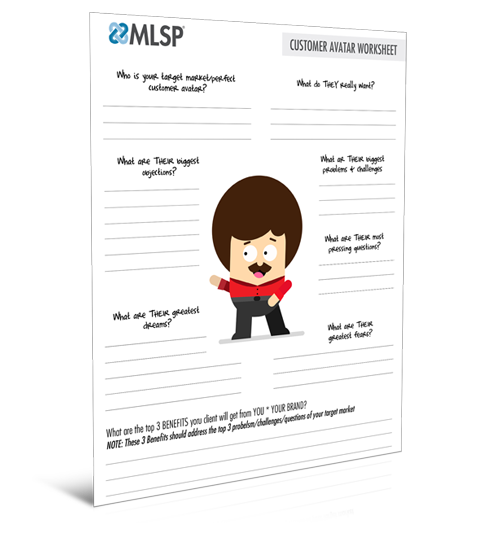 To get you started with defining your target market, you can download this Customer Avatar Worksheet that will get your mind working on figuring out exactly who you should be targeting, and what type of content you should be creating for your target market. These are just a few of the questions you should be asking… and once you get these down you will be well on your way! Deliver on the promise within your content! When you look at the brand examples above you know exactly what each brand is all about, who they are, what they stand for, who they serve, and how YOU can benefit. This causes you to stay on the page longer IF you feel they have what you want! Law #3: Your Brand Must Stand for a Purpose Greater than YOU! The idea of branding is to build a LOYAL following. To be unique in the marketplace. To build your tribe and stand far out above the crowd. But what makes people become loyal to YOU and want to buy from YOU over everyone else? Why should someone follow you, buy from you, join your business, or use your service over the other options in YOUR marketplace? Breakout brands, those that take off and go viral, are almost always the ones that hit prospects on a deeply emotional level… it's FEELINGS my friend! You brand STORY must inspire your prospects to join YOUR tribe, and make them feel like they’re part of something much bigger! You must give them something (a brand story) that they are excited and proud to be a part of! When you get your audience to associate the right FEELINGS with your Brand through a story that plays on their heart-strings, price will never be an issue. And you will build a cult following of loyal fans that will follow you (and your Brand) to the death. Building a Personal Brand Helps You Create an Empire! When you see top earners who have built a massive brand online… now you know some of the secrets they adhere to. They get that what’s vital is that people know who you are, know what you can do for THEM, and trust that you can take them to their desired outcome. You build your brand through attraction marketing, and providing valuable content to your audience. 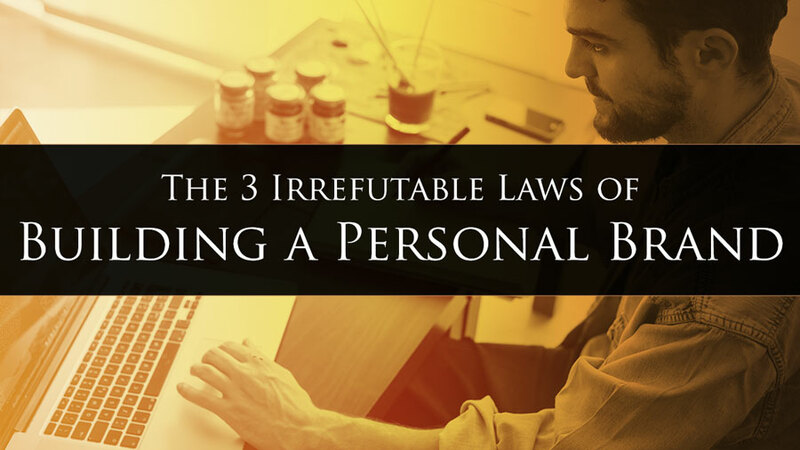 When you follow ‘The 3 Irrefutable Laws of Building a Personal Brand' I laid out in this blog post… you're well on your way to creating an empire, impacting the world, and living YOUR dream! Brian has 11 years of internet marketing experience under his belt, but the first 3 years of his career were spent in zero profit because he was not branding himself. 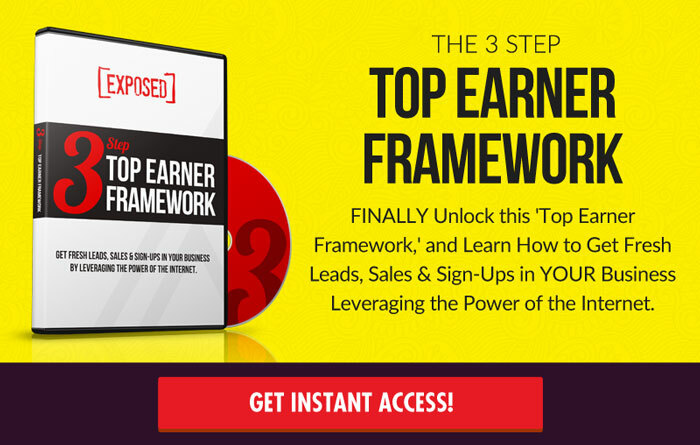 After learning and implementing the secrets he's put inside of MyLeadSystemPRO, Brian's achieved a top earner position in 2 different companies, one of which he held the #2 position in a MLM top tier-direct sales company, personally sponsored over 160 reps, has generated 150+ leads per day consistently, and his best month in the industry has been just under $100,000. In this blog you learn about building you.inc People join people.